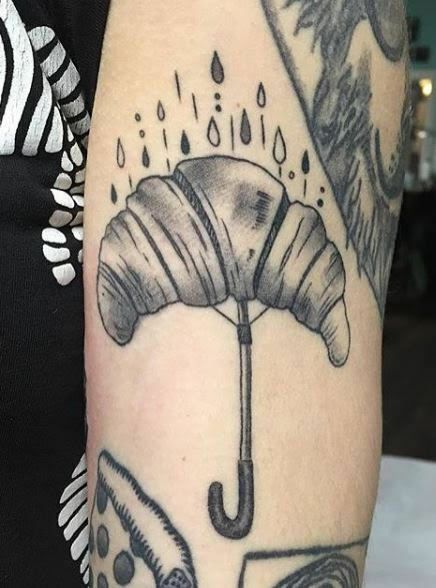 Known as a country that produces superior wine, wonderful art and mouth-watering food; when it comes to French-themed tattoo inspiration, you‘ll never be short of ideas! When you think of France what comes to mind? The Eiffel tower? A French baguette? 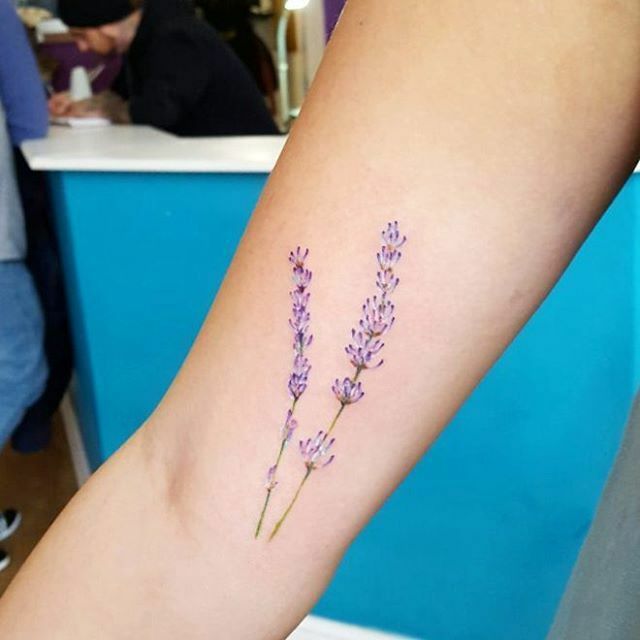 Perhaps something less obvious like a sprig of lavender or a painting by Dégas? 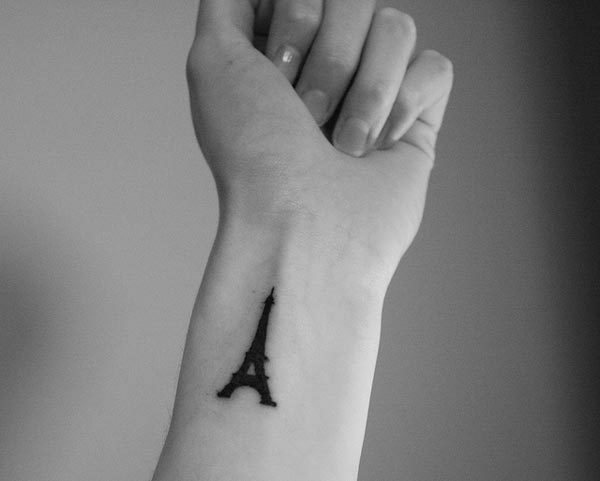 Whatever images your mind conjures up when you think of France, they can easily be captured in a French-inspired tattoo- and why not? France has been the most popular tourist destination in the world for over 25 years. 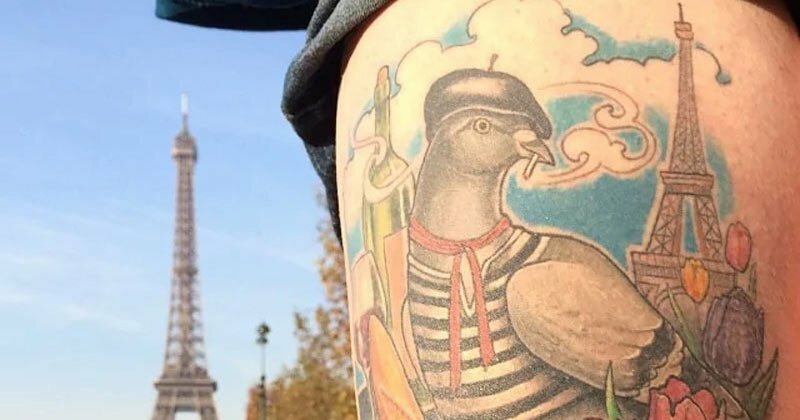 So whether you’re a Francophile in search of immortalizing your love of France or simply like the look of an Eiffel tower tattoo, here are 25 tremendous French tattoos to inspire you. 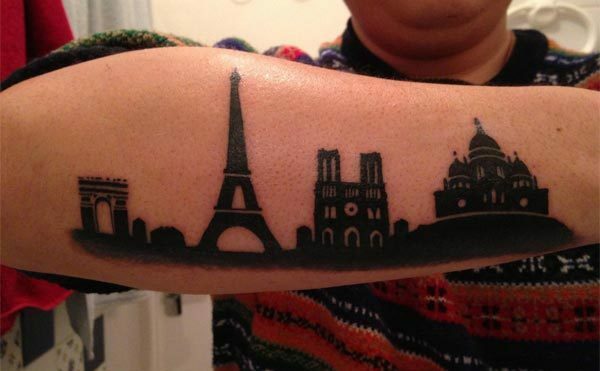 A cartographers dream tattoo if (s)he loved France. 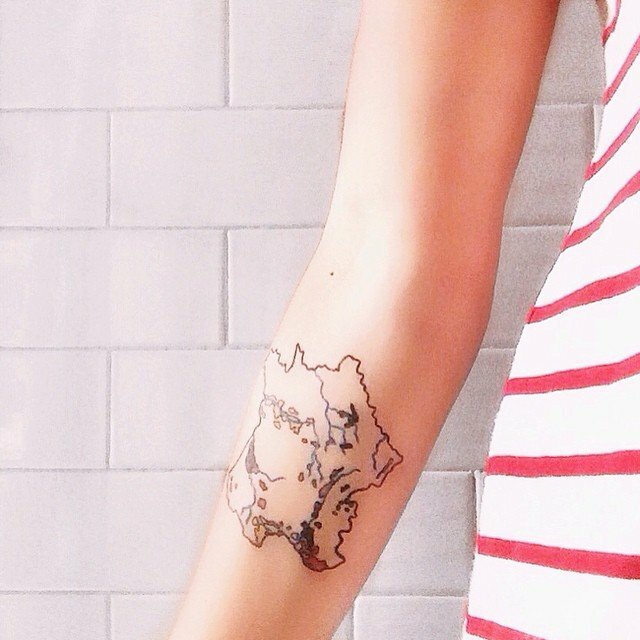 A tattoo of the map of France is not only a fun way to show your love for the country but also your wanderlust heart. 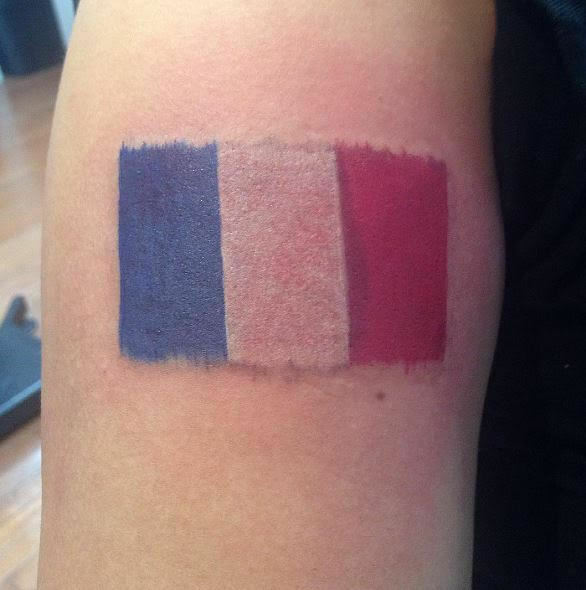 It’s not overly obvious like a tattoo of the Eiffel tower- most non-Europeans might not even recognize the famous hexagon shape which all Children in France learn at a very young age. But that’s OK because it’s a great conversation starter. As one of the most recognizable flags on earth, no one will have to guess which country this blue, white and red striped flag belongs to. 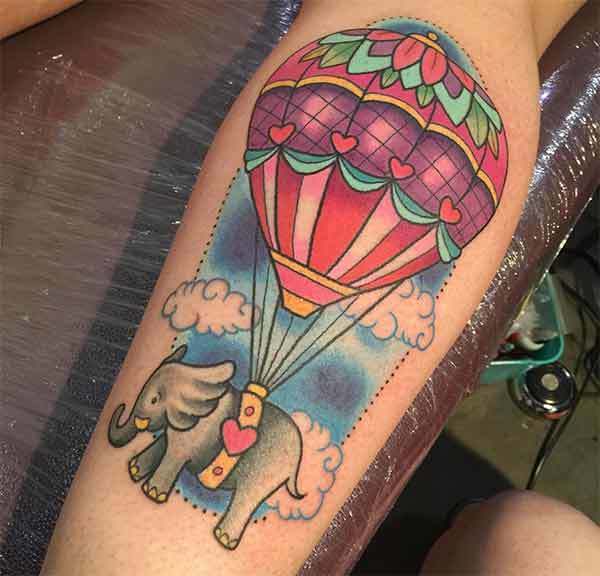 The number of designs that can be dreamed up to make your ink look individual and distinct are endless. 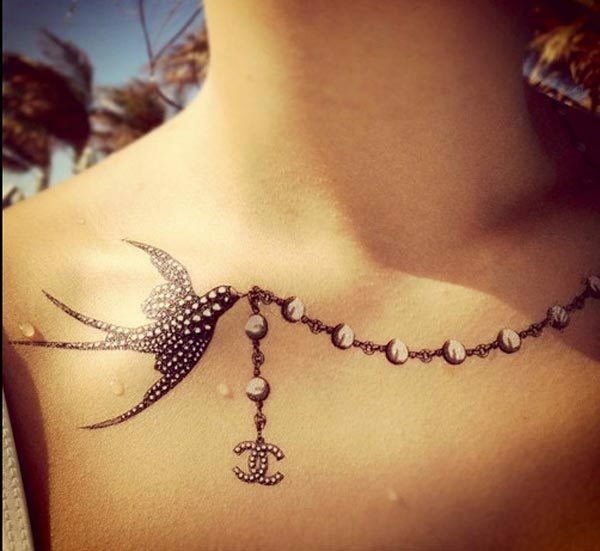 Although swallow tattoos were originally made popular by British sailors of the past, thanks to famous French fashion designers like Coco Chanel who use the swallow in their designs and the fact that the swallow symbolizes travel, a tattoo of a swallow is perfect for anyone who loves France as well as travelling. 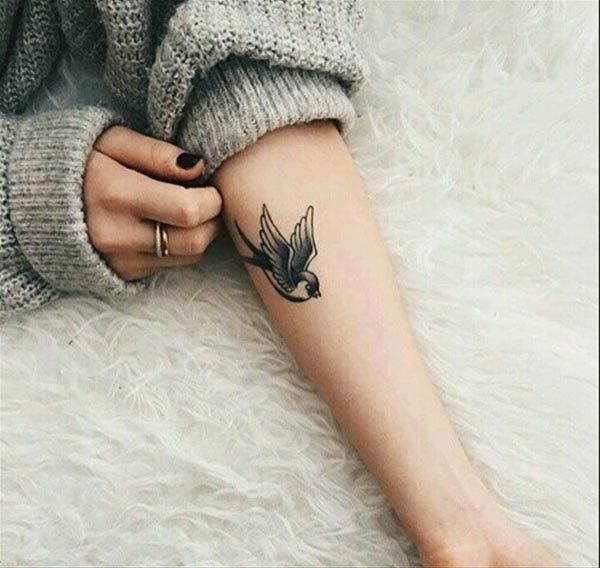 Be careful when getting a swallow tattoo because it is often confused with the sparrow. Chanel No 5, Guerlain Shalimar, Lanvin, Yves Saint Laurent Parisienne- are just some of the classical French Perfumes that have long been synonymous with wealth, class and of course, elegance! 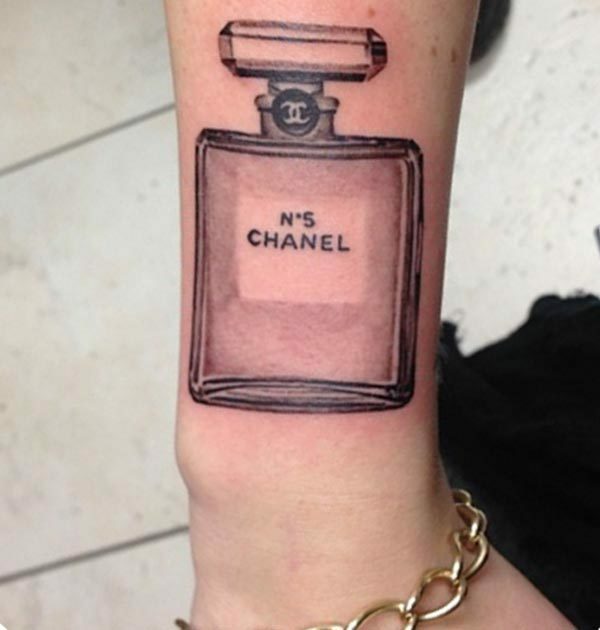 A tattoo of your favorite French perfume or even a generic photo of a perfume bottle is a classy way to elevate your tattoo style. Provence France is known for many things but most recognizable might just be the colour, the texture and the scent of its world famous lavender fields. Lily of the Valley flowers, known as “Muguet” in France, has a very special place in French culture. You’ll find it in everything from perfumes to teas. 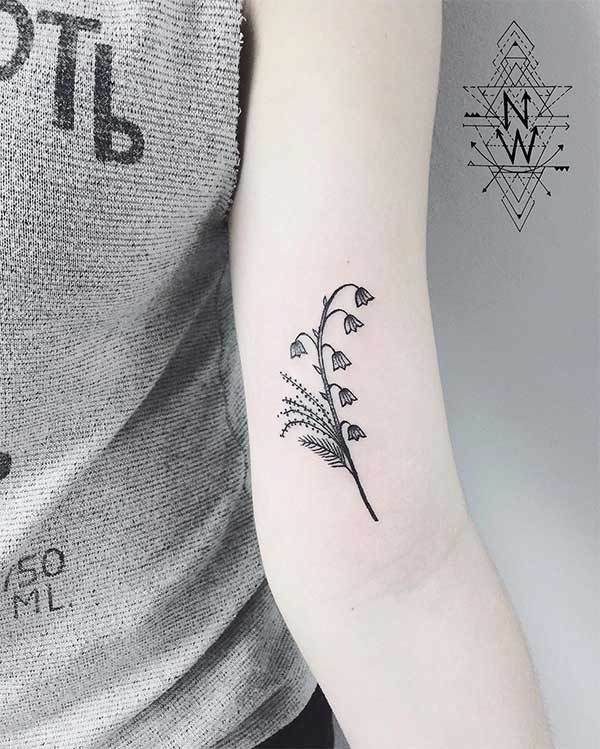 It has long been customary to offer a sprig or bouquet of Lily of the Valley to friends and loved ones on the 1st of May to celebrate the arrival of spring and the good weather that goes with it. 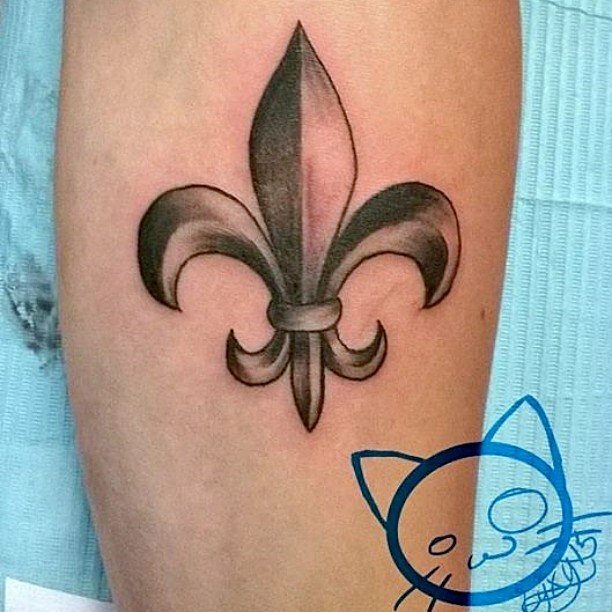 Fleur de Lis simply means”flower of the lily” and is a lily composed of three petals bound together near their bases. This classical French emblem was first used by French monarchs on their shields. English kings later used the symbol on their coats of arms to emphasize their claims to the throne of France. 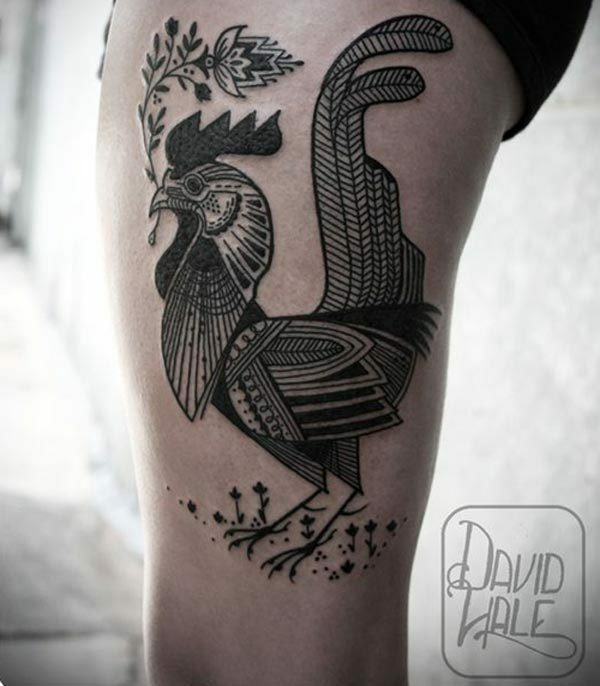 “Le Coq Gaulois” or the “Gallic rooster” is one of the most widely recognized and identifiable symbols of France. It has been used intermittently since medieval times on French engravings and coins and has become the hallmark of French country design. French brands which incorporate the coq in their logo include sports brand giant “Le Coq Sportif” and “Pathé” cinemas in France. Despite its name, French poodles are technically not a French breed however the French were responsible for helping in the development of the breed and boosting their popularity which may be why most people associate them with France. 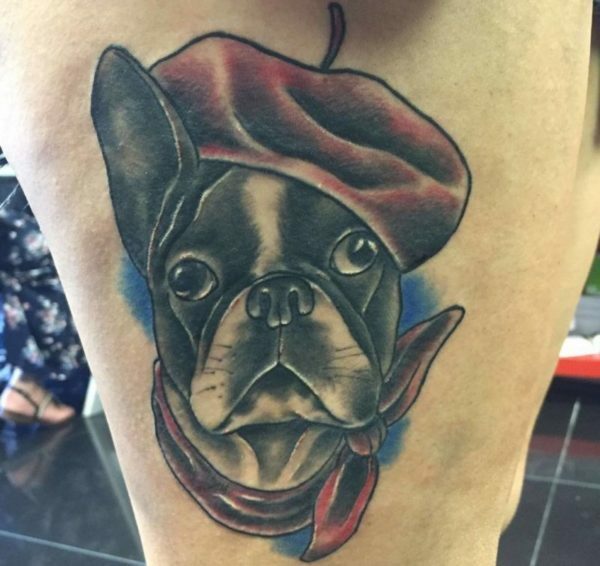 What could be more French than a super cute or scary French bulldog tattoo “Bouledogue”. 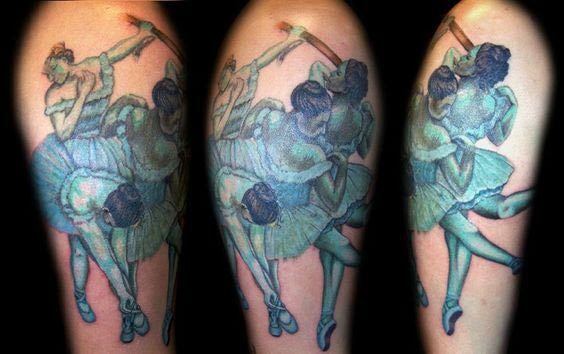 If you’re into art from Famous French painters like Claude Monet, Paul Cézanne, Marc Chagall and countless others, there are literally thousands upon thousands of tattoo ideas out there waiting to be discovered. Just crack open an art book for inspiration. If you’re into comics and cartoons, you have quite a few to choose from. 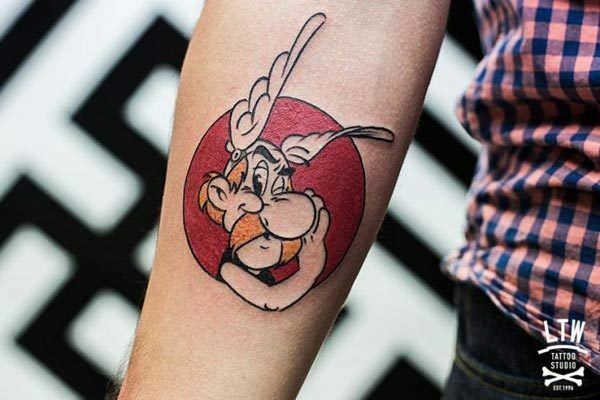 There’s Astérix et Obilix, Les Aventures de Tintin, Lucky Luke and Les Daltons to name a few. Although many of the classic French cartoons are from Belgium cartoonist, they are nevertheless extremely popular in France and recognizable by all French people. Bet you didn’t know that the Smurfs was also a Belgium creation by the Belgian cartoonist Peyou. They’re called “Les Schtroumpfs” in French. 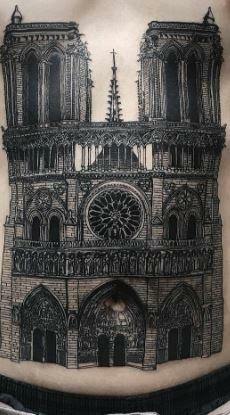 France is filled with famous buildings and beautiful structures – all good artists should be able to draw any of these magnificent monuments onto your body in any style and size of your choosing. Home is where your ink is. 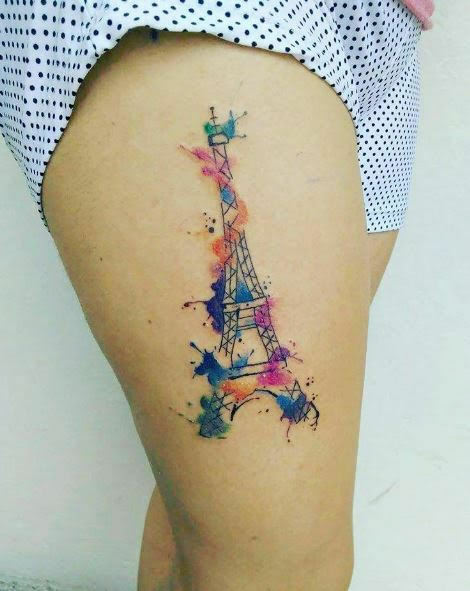 If your love for Paris goes beyond any one thing or you just can’t get enough of Paris then a Paris skyline tattoo is an unmistakable way to say it. Forget the stuffy clean-cut image you have of French chefs. 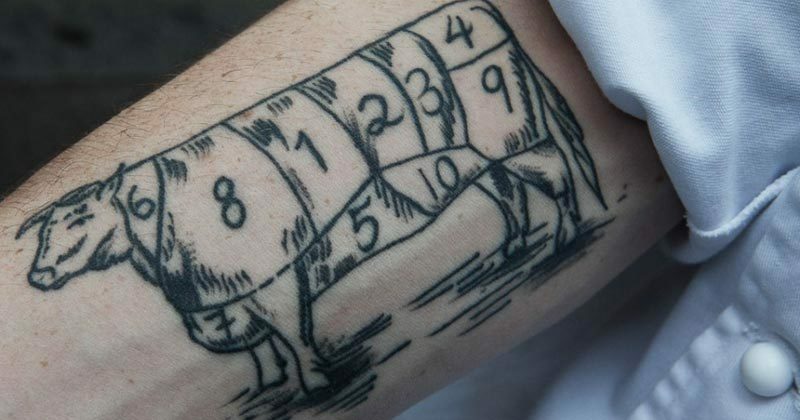 Yes, they exist but these days there’s a new breed of tattoo wearing chefs. Tattoos have become a sort of status symbol, almost standard attire in professional kitchens. 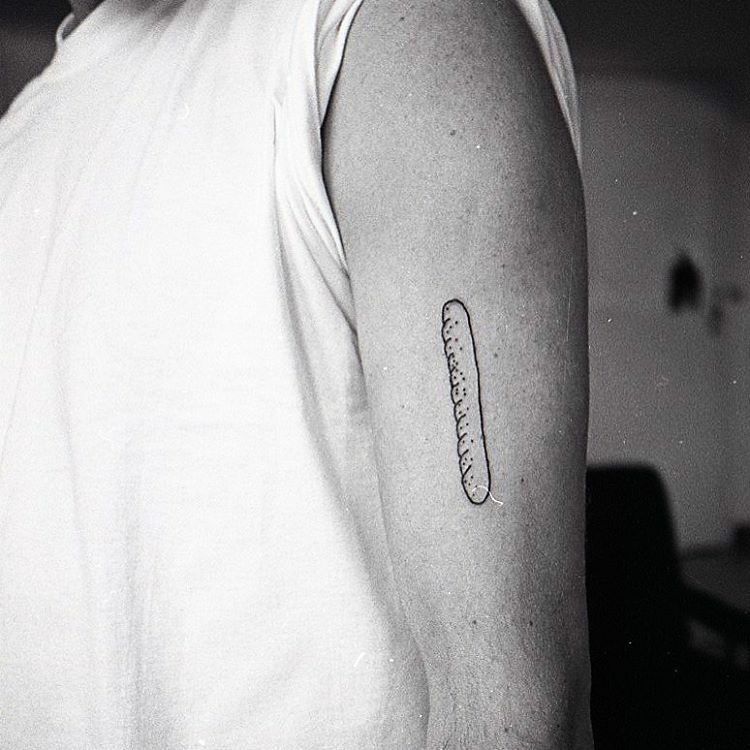 Just take a look at the famous French chef Ludo Lefebre who is covered in meaningful tattoos- like little badges of memory. 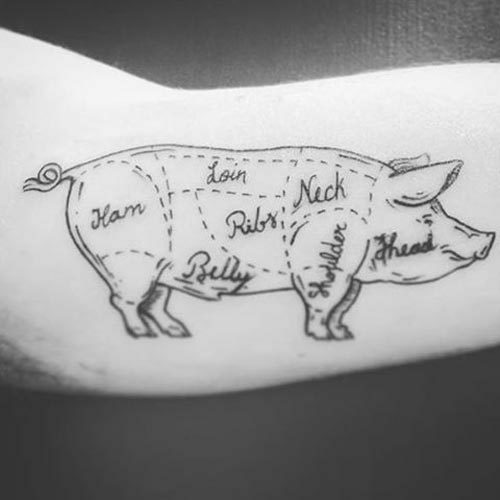 A quaint way to express your inner chef is to dawn an antique looking butchers cut tattoo. Take your pick, beef, chicken or pork. 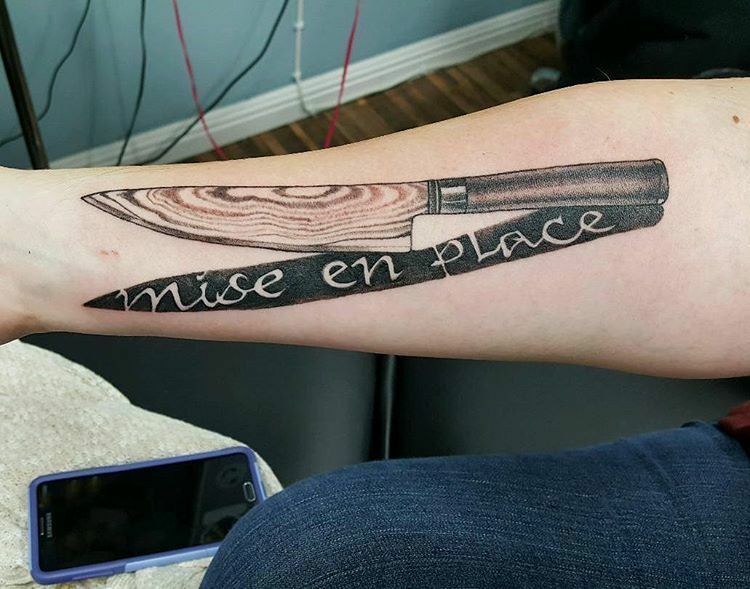 If you’re a home chef with mad chopping skills, a knife tattoo might be for you. One popular motif is to tattoo the French culinary phrase “Mise en place”- which means “putting in place” or “everything in its place.” In a professional and even a home kitchen, it’s the preparation of dishes and ingredients before the beginning of service. France is the founding country of dozens of famous foods and is known globally for its production of the perfect wines, brilliant cheeses and scrumptious breakfast pastries. 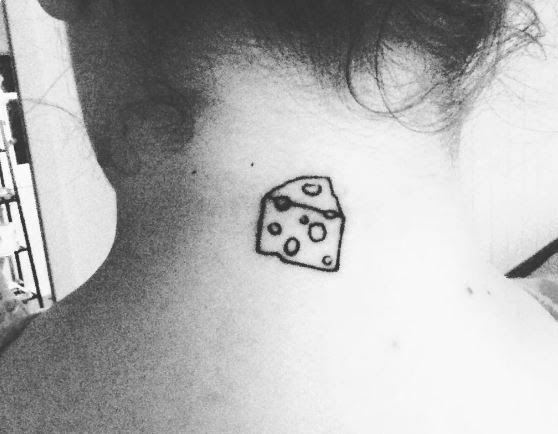 If you’re a foodie then the possibilities are endless when it comes to French cuisine-inspired ink. The French macaron, not to be confused with coconut macaroons are the delight of France. This sweet meringue-based confection is commonly filled with ganache, buttercream or jam filling in every flavour you can think of. The colour of the macaron always matches the filling- Brown ones are usually chocolate or coffee, red ones are strawberry, blue ones are blueberry and so on. 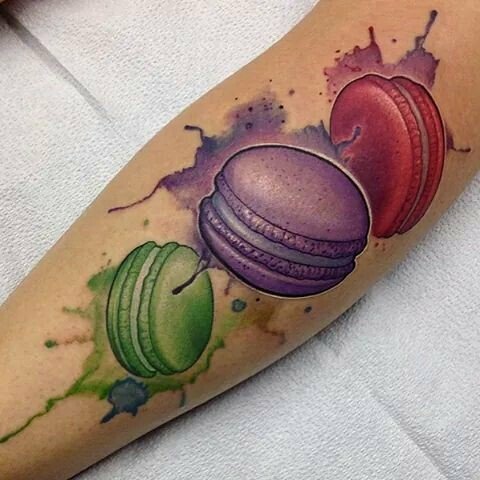 Get a tat in every flavour and in full colour to show your love of French confectionery. No explanation needed here. The French consume more wine per capita than any other nation of people- possible designs are endless. Just take a look in a wine magazine for inspiration. 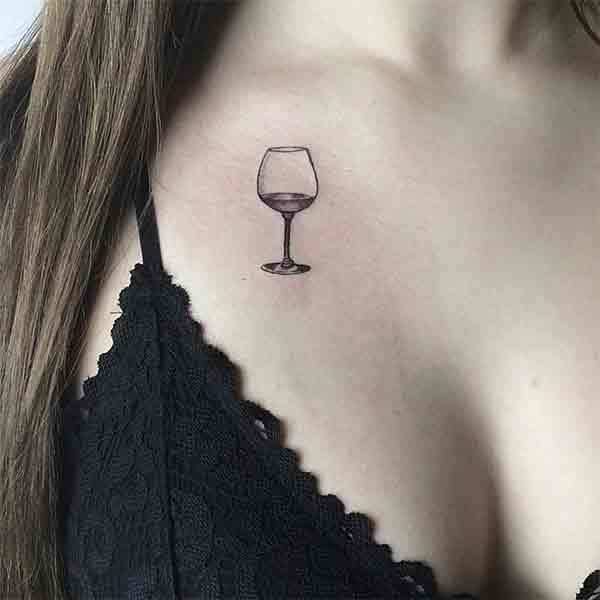 If you have a favourite bottle of wine or champagne, why not get a tattoo of that? The French produce over 450 different types of cheeses. Pick one- anyone for your next tattoo. 23. 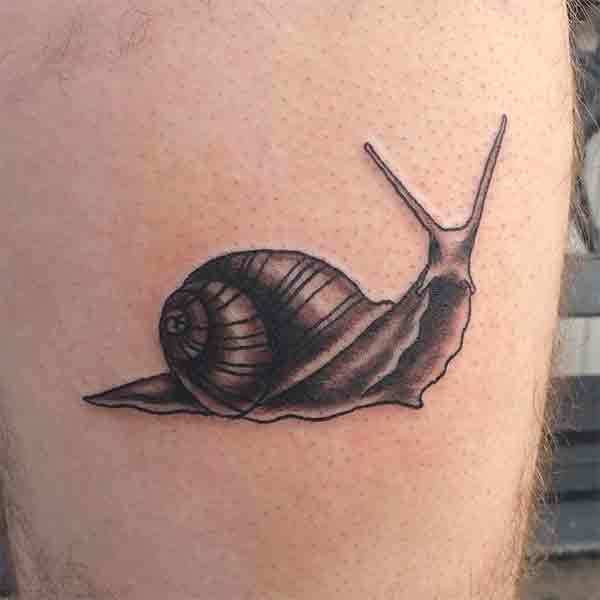 Escargot tattoo (snails) YUMMY! A pervasive cliché is that the French eat snails called escargot in French. Who doesn’t love escargot floating in butter and garlic? A little-known fact about the French is that they’re responsible for many important inventions and technological advances, including (but not limited to): The hot air balloon, the bicycle and the submarine! Two French brothers were the first to successfully attempt the first manned hot-air balloon ascent in 1783. Although the French didn’t actually invent the submarine, the French Navy did create the first non-human powered sub in 1863 called le Plongeur meaning “the diver”. 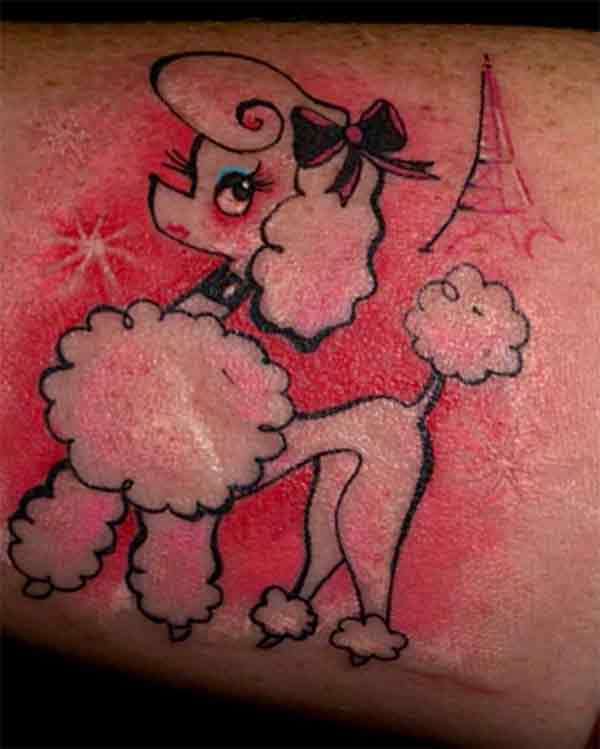 The more you delve into French culture, the greater the chance of exposing even more fabulous tattoo ideas. 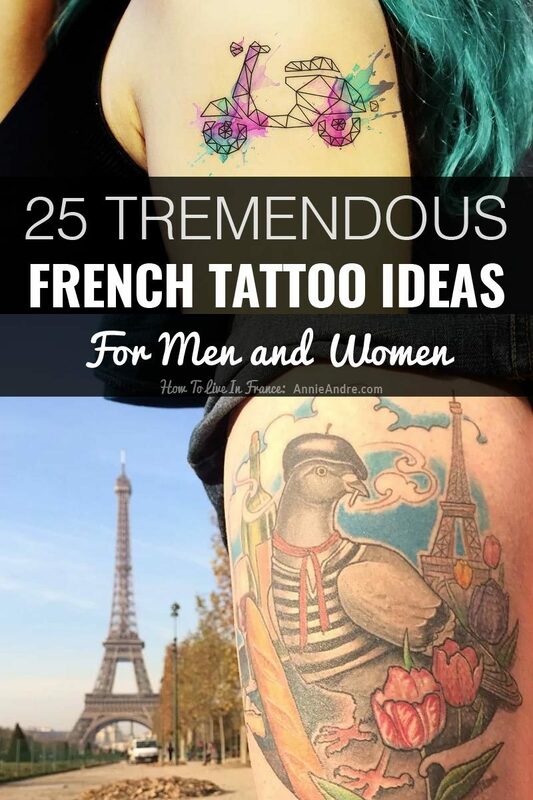 If you’re still short of ideas after looking through the article above, then other French tattoo inspiration is never far away, with books, magazines and French-themed websites available in the thousands just waiting to light your imagination. Remember though – tattoos are for life. 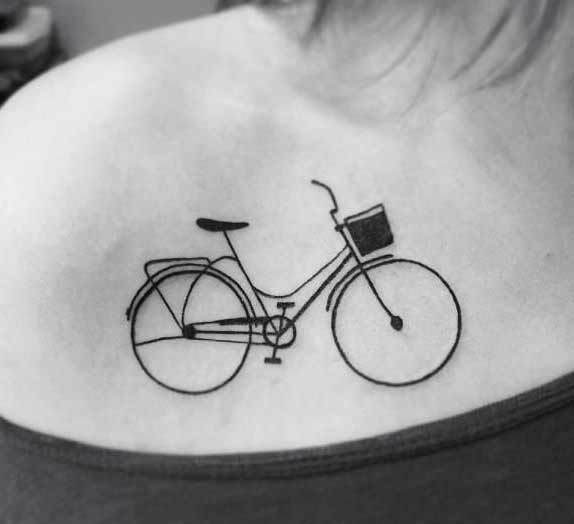 Make sure you’re certain that you want something inked onto your body forever and make sure you take care of your new tattoo as best as possible to ensure it looks beautiful for as long as you live.